The Michigan Sailing Team is excited to announce our new U20 Stadium Race Regatta! We have been working hard, and closely, with Bayview Yacht Club to put on this fun event for our sailing community. We can't wait to see you there! Victors Cup was a success! Heavy winds and wavy conditions made for a great set of racing. You can find pictures below courtesy of Martin Chumiecki and the Eger Family. 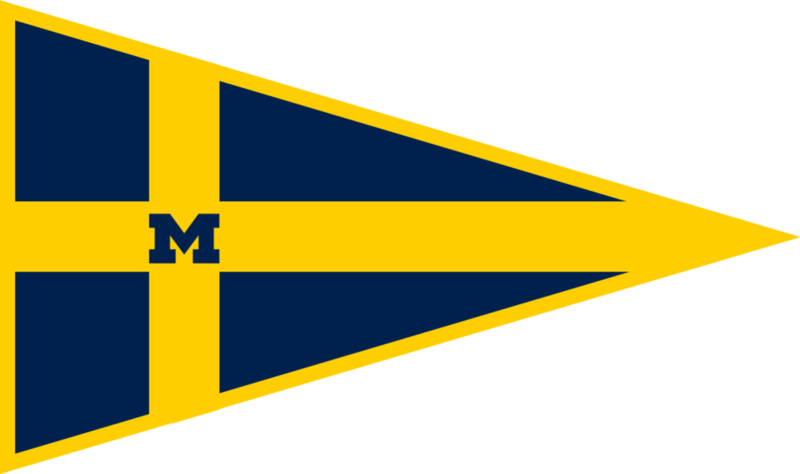 The Michigan Sailing Team is looking to reach out to the Michigan sailing community. Our goal is to continue to develop relationships with our alumni and fans in an effort to promote a stronger future for our team. As we have continued to develop our keelboat sailors into a competitive team, we are looking for more opportunities to show our skill. The Michigan Sailing Victors Cup will be taking place at Bayview Yacht Club in Detroit, Michigan. The event will take the place on odd number years. Entry is free and teams will be made up of 3-4 sailors. We plan to run Stadium Races off the wall of the club over the course of the day. We are not currently taking sign ups, however if you would be interested in getting more information you can contact us at eb@umich.edu.